Too Green To Be True? Lush lawns can lure us out of our shoes to seek the feathery soft touch of grass on our soles. Research suggests this kind of contact with earth has healing benefits, including easing inflammation and pain and decreasing anxiety. In some cases, however, it can mean exposure to toxins, which can trigger allergies and irritate the throat and lungs, not to mention lead to increased cancer risk and neurological problems such as Parkinson’s and Alzheimer’s. Children and animals are particularly vulnerable. If a lawn looks too green to be true (like a golf course), it probably is. Nature prefers diversity so grasses naturally blend with wild flowers, including dandelions.The image above shows how flowers naturally mingle with grasses. The list of potential weed and insect killers is long, so I am only covering a few, but they work much the same way. Two chemicals used in common lawn weed and feed products include Mecoprop (or MCPP) and 2, 4 Dichlorophenoxyacetic acid (2, 4 D). Mecoprop can irritate the eyes, skin and respiratory tract. Those involved in the manufacture of this chemical are at higher risk of soft tissue cancers. Even moderate exposure causes cancer in animals. It remains in the environment for months. 2, 4 D is thought to be an endocrine disruptor, meaning it can monkey with your hormones, including turning your testosterone into estrogen (not the good kind). Infertility, mood changes, fatter breast tissue, and weight gain can result. This chemical can damage the liver, kidneys and nervous system (think Parkinson’s, and Alzheimer’s). Increased risk of strokes, heart attacks and low thyroid function are also linked with 2, 4, D.
This chemical can remain active for months. It is water-soluble so it can reach ground water. Some products contain insecticides such as bifenthrin, which kills honeybees, a pollinator key to our food supply. Bifenthrin is readily taken up by the skin and affects the nervous system, increasing risk of tremors and Parkinson’s disease. Combination products are riskier than individual chemicals. In 2012 Canada restricted sale of such products due to the great unknown. In the 3 years I have lived on my tiny rural lane in Oregon, five dogs here have developed cancer, including my own, and another a serious endocrine disorder. At least four human neighbors have developed cancer and many suffer tormenting allergies. One of my neighbors, whose dog has bladder cancer, discussed potential causes with oncologists at UC Davis, Oregon State and Colorado State Veterinary Teaching Hospitals. Experts at all institutions pointed to environmental chemicals, especially herbicides. “Roundup® came up often,” she said. The World Health Organization (WHO) in 2015 added Roundup® to the list of probable carcinogens. Once believed to be harmless, more recent studies and internal memos indicate this is not true. Now, a California man has become the first to take Monsanto to task for his terminal cancer. He and around 4000 others are suing Monsanto for causing their disease. Germany recently banned Roundup®. Over Monsanto’s outcries, California courts just ruled it can be labeled a carcinogen and must be kept from waterways. For these stories and more, check this out. To protect yourself, children and pets, find out when your neighbors plan to spray and stay indoors with windows shut. Sprays drift. Far. Avoid walking or letting your pets or kids on sprayed areas for a few weeks. Some residues remain for months, although concentrations break down. You can tell a sprayed area by the contrasting brown foliage compared to surrounding green. 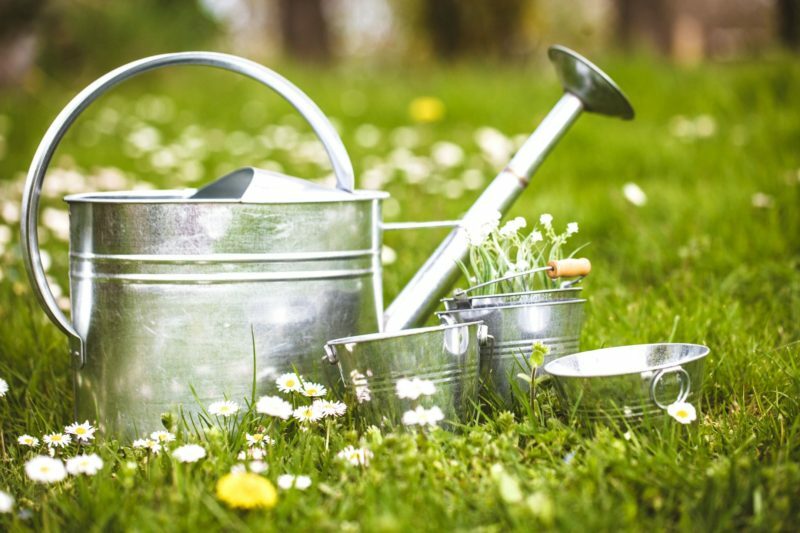 If you must get rid of your weeds, consider weeding by hand instead of your normal gym workout; it is satisfying and when the sun is out, a good way to get vitamin D. Some find torching with a flame to be a less strenuous way to eliminate weeds. Others are finding high strength vinegar (at least 10%) effective. Baking soda, salt and Dawn dishwashing detergent can enhance the effect. Between chemical fertilizers and weed products, lawns are among the most chemically demanding features of a yard. I have transformed much of my lawn to herb and veggie beds, flowering shrubs, maples and walk areas. To naturally and effectively transform a lawn into rich fertile soil, consider sheet mulching. Another option: Harvest your weeds. Common sprays target dandelions, clover, dock, plantain, and chicory — plants that are not only food for honey bees (essential to our own food supply), but food and medicine for us. Whole Foods Market sells fresh bunches of dandelion. Harvest your own for free; pick the tender, jagged leafy green before the seed head appears. Dandelion roots and leaves are powerful detoxifiers and well known healers for the liver. Dandelion has a slightly bitter flavor so be sure to sauté with caramelized onions or braise with sweet potatoes. Use the roots for a liver cleanser. Made into a tea, cleavers can work as a diuretic, lymph cleanser and remedy for urinary tract infections. Clover naturally adds nitrogen to your soil and when cut short blends in with typical monocot blades. You can also harvest your clover for a medicinal tea. Red clover helps balance hormones. One of my favorite “weeds’ are stinging nettles, which make a delicious soup and remedy for Spring allergies. Chickweed is a refreshing addition to salads. It is used medicinally for constipation and to eliminate excess fluids, making it helpful in detoxification. It is said to help in weight loss, inflammatory diseases such as pain and rashes, as well as for asthma. It is an excellent source of vitamin C.
If cancer, Alzheimer’s, Parkinson’s or allergies are in your DNA, you are best minimizing exposure to pesticides. If you have a dog or cat and want to insure your pet a healthy life, take steps to prevent exposure to yard chemicals. I grew up thinking a perfect green lawn was one of life’s goal. Now, when I see a perfect green lawn, I think Monsanto, shortsightedness, and toxins. My goals have shifted to safeguarding health, including that of our pets and planet, and to witness nature display her magic.